We are excited to update you on the progress of our newest Mercy Ministries home just outside of Sacramento, California. The construction is more than halfway complete on the 40-bed home that is located in the suburb of Lincoln. On Tuesday, September 9th we are hosting an Evening of Prayer at the home from 6:30pm-7:30pm. Supporters and members of the community are invited to come and pray throughout the home. We will be praying specifically for the girls who will come from across the country seeking hope and healing. 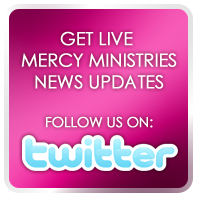 Check out the upcoming events section at www.mercyministries.org for details on the Evening of Prayer at Mercy Ministries. In addition, runners and walkers of all ages are invited to participate in our 2nd annual Run for Mercy 5K and Family Walk on Saturday, November 15th. The run/walk will take place at the site of the Lincoln home. Participants will be allowed to tour the home after the event. Visit www.runformercy.org for more details on registration and sponsorship opportunities. Thank you for your faithful support as we look forward to opening our first West Coast home! !